The finals of the international amateur boxing tournament, “Prise of Serik Konakbaev” were held on May 22, 2010 in Aktobe City, Republic of Kazakhstan. Jeremi Fiorentino (USA) lost in a very impressive, close fight to a Russian boxer, Kamil Musaev, 7:4 in the 69 kg (152 lb) weight category. After winning three consecutive fights, Jeremy Fiorentino became the silver medalist of this very prestigious international tournament in Kazakhstan. Also participating in this tournament were many future 2012 Olympians. Bakhyt Sarsekbayev, 2008 Olympic Champion, was in attendance and one of the first to congratulate the young American fighter for winning the silver medal. We could have brought home a gold medal too, if USA Boxing truly cared about it’s boxers. Although this tournament provided an excellent opportunity for American amateur fighters to gain valuable international experience, USA Boxing let the chance slip by…again. 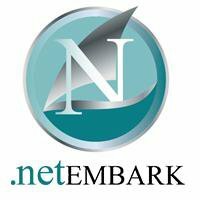 In March 2010, I got an invitation from a close friend of mine, Serik Konakbaev, who was a superstar in the international amateur boxing scene in the 1980’s. He was the Silver medalist of the 1980 Olympic games, two time European Champion, two time World Boxing Cup Champion, and is now a member of Parliament in the Republic of Kazakhstan.Serik asked me to bring a team of 4-6 American boxers plus one coach or judge to the tournament he was hosting in Kazakhstan. It was explained in the invitation to USA Boxing that all expenses (tickets, hotel, food, visas…) would be fully covered by the Aktobe Boxing Federation! I immediately contacted my friend, former president and current Level 4 coach of Metro Boxing (New York’s division of USA Boxing), Joe Higgins. He contacted the necessary people at USA boxing and we waited for an answer. We did not hear from Colorado for nearly a month. 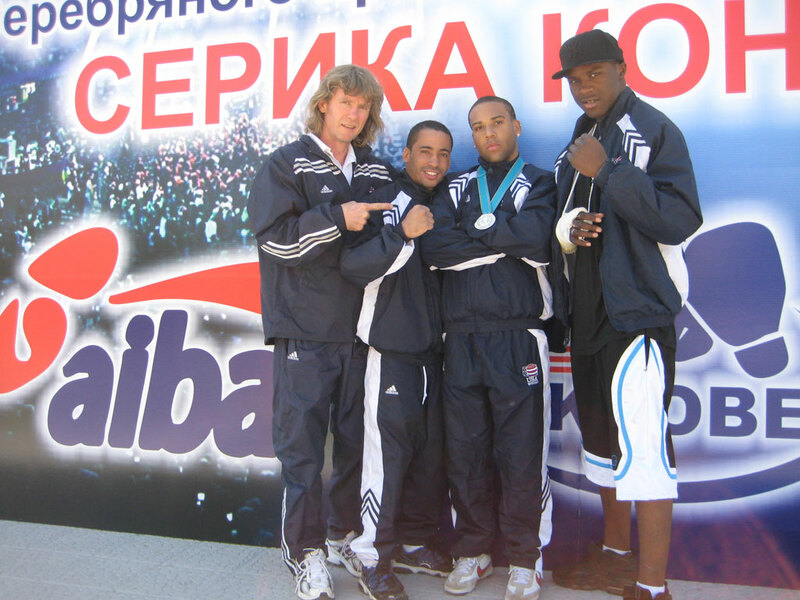 When USA Boxing did not come through, I created my own team of New York fighters to go to Kazakhstan. In addition to my boxer, Juan Roman, I chose 2010 New York Golden Gloves Champion, Travis Peterkin, and 2009 NY Golden Gloves silver medalist Jeremy Fiorentino. With one month to go before we left for Kazakhstan, I prepared the small team in Gleasons Gym by using my other fighters, all schooled in the Olympic boxing style, as sparring partners. Since USA Boxing was not supporting them, they had no team uniform. So, I borrowed old USA Boxing uniforms from my student Jill Emery, a three time USA Champion and still the only USA female boxer to win 4 Gold medals at big International events. Stella Nijhof, a two time USA Champion and my other my student, USA National JO Champion and USA National under-19 Champion, Sasha Mamoshuk, also lent us their USA Boxing uniforms. We flew into Moscow, Russia on May 15th, where we had a one day stay, before finishing our trip to Kazakhstan. I had just enough time in Moscow, to take the team to the two most historical places in Russia: Red Square and the Kremlin! Next day we trained in my friend’s boxing gym in Moscow before heading to the airport to finish our journey to Kazakhstan. We were given a hearty welcome in Kazakhstan. Each boxer got his own room in a really nice hotel located right in the center of City Aktobe. On May 18 after the morning workout, Traves Peterkin accidentally slipped when he was stepping out of the shower and severely cut his hand. By the time I was called to his assistance, he had already lost a lot of blood. I made a thin towel tourniquet and tied it at the top of his arm to stop the bleeding. It was a good thing I did this, because the ambulance took over an hour to arrive. Traves endured the pain and eventually got the treatment he needed. This was a huge blow to our small team to lose the one fighter who I believed would win a medal because there were only 7 boxers in his weight division, 81 kg (178lb). Later the same day, we got the official information stating that there were more than 120 boxers from Kazakhstan, Russia, Uzbekistan, Tajikistan, Armenia, Turkmenistan, Ukraine and USA participating! The next few days were tough for me, because I had to take care of Travis and prepare the other boxers for their fights. Jeremy Fiorentino boxed on the first day of the competition right after the opening ceremony. There were 16 in his weight class 69 kg (152 lb). Jeremy won (5:4) by outboxing the very experienced, power puncher from Uzbekistan, Nozim Sabirov. 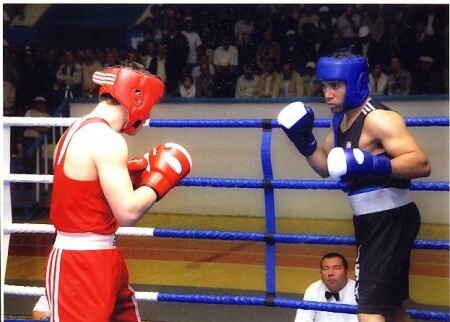 On the second day of the competition, my fighter, 24 year old Juan Roman, 54kg (119 lb), fought Jamal Badrutdinov (Russia). Juan with only 12 prior amateur fights did a good job against a very experienced (over 150 amateur fights) opponent, and won the third round. But Juan did not have a chance of outscoring a Russian boxer with this amount of amateur experience. The final score was 11:3. 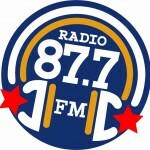 Two days later Juan Roman won an impressive sparring match against a local boxer who had also lost in the quarterfinals. All the responsibility to bring home a medal was now on the one remaining USA boxer, Jeremy Fiorentino. And Jeremy did great! In the second bout he outboxed a very aggressive fighter from Kazakhstan, Azamat Dosmagambetov, and won on points 3:1. Then, in the semi-finals, he won a very close fight (1:0) against a Ukrainian, Taras Golovashenko. And in the finals, Jeremy Fiorentino lost (7:4) in a spectacular fight against Kamil Musaev (Russia). Jeremy Fiorentino with only 35 amateur fights displayed the best of American boxing in Kazakhstan, when he came to the ring only to WIN! He didn’t care that his opponent had more than 150 amateur fights. Jeremy Fiorentino captured the spirit of American boxing in the 70′s and 80′s, when young competitors like Howard Davis and Mark Breland were taking their first steps into the international scene by beating very experienced opponents. I was very proud of Jeremy Fiorentino and proud to represent the USA in Kazakhstan, where I first started boxing 30 years ago at a time when we idolized fighters like Sugar Ray Leonard and Muhammad Ali. This tournament was a priceless experience that could have gone to more than only three USA boxers. I don’t understand why USA Boxing ignored the invitation and repeated attempts from Joe Higgins and myself to get them to send a team. They could have given this opportunity to more fighters. How many other invitations have they ignored? 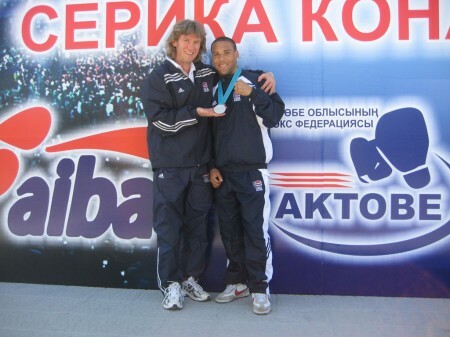 Since my student Jill Emery won her first national title and my other student, Yuri Foreman, won the bronze in the National Golden Gloves in 2000, I have listened to USA Boxing complain about having no money and needing sponsors. In 2006, I made the same trip to Kazakhstan, and USA Boxing didn’t send any fighters then either, so I took three boxers from New York City. One of them was Ronny “Venezuela” Vargas (RIP) who also brought home a silver medal! 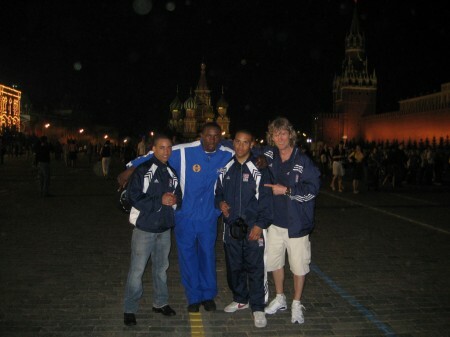 In 2008, my friends from the Russian Boxing Federation asked me to bring a full USA Junior Olympic boxing team to Russia. The Russians were prepared to pay all expenses! 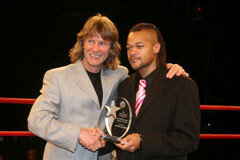 I called the USA boxing coach director, Dan Campbell, many times, but he had no time to discuss the Junior Olympics. It killed me! How could the head coach of the USA Boxing National Team not care about the future of boxing in America? Today’s Junior Olympians are tomorrow’s Olympians! Once again, USA Boxing couldn’t find the time to develop USA boxers and give them a great opportunity. In the last years I have seen the officials of USA Boxing care more about their positions on the board, than about boxing in USA. Maybe this is why USA amateur boxing has declined year by year to a low position in the boxing world. It’s very sad, because no country in the world has a boxing legacy like the USA.